If so, we will be having a Baptism on Sunday, April 28th during 4th service. If you are ready for this step, plan on attending our Baptism class that same Sunday, April 28th during 3rd service, in Suite B upstairs. If so, we will be having a Baptism on Sunday, October 28th after 3rd service. If you are ready for this step plan on attending our Baptism class on Sunday, October 28th during 3rd service in Suite C.
Are you wanting to tell the world that you’re a follower of Jesus Christ? If so, we will be having a Baptism on Sunday, October 28th after 3rd service. If you are ready for this step plan on attending our Baptism class on Sunday, October 21st during 3rd service in Suite C.
TIME IS UP! WE NEED TO FINALIZE ALL OF THE PLANNING AND PREPARATIONS. TODAY IS YOUR LAST CHANCE TO SIGN-UP! REGISTRATIONS CLOSE TONIGHT (THURSDAY, JULY 19TH) AT 7PM. DON'T DELAY - REGISTER NOW! AND BE SURE TO INDICATE ON THE REGISTRATION FORM IF YOU WOULD LIKE TO BE BAPTIZED. Make your way down to Camp Pendleton and join us as we enjoy a day at the beach with our Impact Church family and celebrate life-change through baptism! Cost: $20 per family, and lunch will be provided! You can also use the same link to sign-up to be Baptized at the beach! If you would like additional information about this event, please contact Kellie Ferry at (714) 235-7101. Please note that attendees over 18 will need to bring a form of identification in order to gain entry into Camp Pendleton. TIME IS RUNNING OUT! WE NEED TO FINALIZE ALL OF THE PLANNING AND PREPARATIONS. THE DEADLINE FOR REGISTRATIONS IS 7PM ON THURSDAY, JULY 19TH. DON'T DELAY - REGISTER TODAY! AND BE SURE TO INDICATE ON THE REGISTRATION FORM IF YOU WOULD LIKE TO BE BAPTIZED. Do you desire to tell the world that you're a follower of Jesus Christ? We will be having a Baptism on Sunday, April 15th after 3rd service. 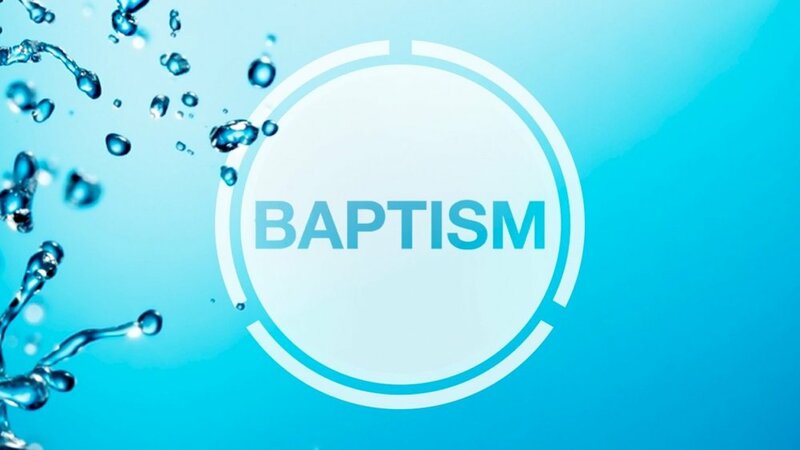 All participants will gather during 3rd service to review and discuss what it means to be baptized, and the process for Baptism will be explained. You will also have the opportunity to ask any questions that you may have. Join us as we celebrate with those taking this next step in their faith. Are wanting to tell the world that you're a follower of Jesus Christ? We will be having a Baptism on Sunday, April 15th after 3rd service. In addition, there will be class held preceding the Baptism (class held during 3rd service) that will inform all participants what Baptism is, and what it is not. You will have an opportunity to ask any questions as well. In addition, the Baptism process will be fully explained to you. It was an awesome day as 10 individuals told the world that they are followers of Jesus Christ. Our mission as a church is to make Disciples, and that includes Baptism as commanded in the Great Commission. This time of Baptism was very special as it was held between our Sunday morning services, which allowed the Impact Church Family to celebrate with those taking this next step in their faith. We are so proud of each of these individuals, and we Praise the Lord for their faithfulness in Baptism. Please watch for our next scheduled time of Baptism and take this important step if you have not already done so.